Londoners will get "first dibs" on new homes in an attempt to stop property being snapped up by foreign investors. A group of builders and housing associations has offered to sell homes worth up to £350,000 only to Londoners for their first month on the market. UK buyers can make offers for the following two months, with foreign investors allowed to participate after three. Critics said the scheme "means little in practice". The agreement, announced by Mayor of London Sadiq Khan, allows anyone living or working in London to have first choice of some properties. The offer has been made by property developers the Berkeley Group, as well as members of the Home Builders Federation and g15, which represents the 15 largest housing associations in the city. Paul Hackett, chair of g15, said: "We recognise the importance of prioritising ordinary Londoners, who otherwise would find it much harder to buy a home in the city in which they live and work." The mayor's push to get the scheme up and running came after research he commissioned last year suggested 50% of new properties bought by overseas buyers in central London were homes under £500,000. But Caroline Pidgeon, a London Assembly Member for the Liberal Democrats, said the initiative is "yet another voluntary scheme" that will not be widely taken up by the housing industry. "He might boast that the scheme is different to the past but he can't hide from his scheme's low take up," she said. "The ultimate issue is that first dibs on new homes means little in practice if an insufficient number of homes are actually being built in the first place." A spokesman for the Ministry of Housing, Communities and Local Government said it is right that developers focus on marketing homes locally. He added that the government's move to cut stamp duty for first time buyers in London was helping them get on the housing ladder. 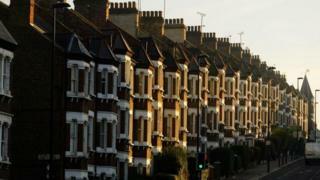 Help to Buy: How much has it helped first-time buyers?